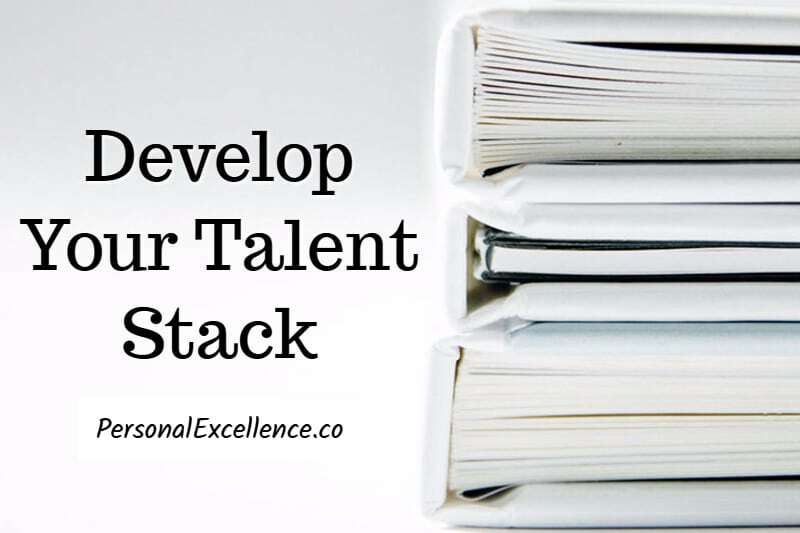 Talent stack is a concept created by Scott Adams, creator of the Dilbert comic. It’s the idea that you can combine normal skills until you have the right kind to be extraordinary. An example is Scott himself. He’s not the best artist — there are better artists than him. He’s not much of a business expert — there are more savvy experts. He has never taken a college-level writing class. Yet, he created Dilbert, a famous comic strip that appears in 65 countries. Scott is said to have a net worth of $75 million, majority of which comes from Dilbert. Understanding how a talent stack works is important. Normally, people think that success comes from developing talent in one skill. This works well in some fields. In medicine, the natural progression is to pick a specialty. In sports, you train to become best in your field, like Tiger Woods (golf) and Michael Jordan (basketball). In acting, you develop the best acting chops, like Robert De Niro and Morgan Freeman. But besides becoming world-class in one skill, talent can come from having a unique stack of skills that no one else has. You can utilize different skills to create value in a way no one else can, thus becoming one-of-a-kind in your own league. Lisa Elfridge is a celebrity make-up artist on YouTube. She was already known prior to starting her website and YouTube channel. But after she started her channel focusing on beauty and makeup tips, her authority and success rose to a whole new level. Reason? She is one of her kind in her field. Celebrity makeup artists work with their clients for photo shoots, appearances. They don’t publish their work online. Most of their self-marketing happens offline, through networking, connections, etc. On the other hand, online makeup gurus generally show how they do their own makeup. But they are not professionally trained. They cannot give professional advice on the best makeup for different skin tones. Makeup skills. She has professional makeup skills. Industry knowledge. She has real experience working with celebrities. Presentation skills. She communicates her makeup tips in an easy-to-understand way. White backdrop, no frills or production gimmicks. No music. Just her and her beauty tips. Video creation skills. She knows how to create professional-looking videos, or at the least she hires people with the right skills. People in the celebrity makeup world have the first two skills. Online makeup gurus have the latter two skills. But Lisa is able to harness all four skills, hence becoming extraordinary in her field. That’s her talent stack. When I started my blog, I was not much of a writer — I have never taken a professional writing class. I have average web design skills. I have good marketing and business strategy skills. I have very strong analytical skills. And I have a strong passion for growth. Marketing and business strategy. Most web business owners do not have professional marketing knowledge. What was common sense to me, in marketing my business, was alien to everyone else. After entering the field, I realized no one really knew what they were doing in terms of business strategy and management. Many bloggers were just randomly blogging but no one was thinking about their blog as a strategic platform for their business, not until the 2010s when the commercial potential for blogging became obvious. Design and coding. Many web business owners do not have web design or coding knowledge. In the end, they get stuck with technical issues as running a web business has become super complicated today. You can hire a designer but you get stuck in the to-and-fro and trying to convey your ideas to them. Even when paying high fees for good designers, there’s still a gap between intention and execution. And that’s not even talking about ongoing maintenance which is part of any website today. Coaching. My coaching has a unique edge because I can analyze and break down intricate problems, with a focus on solving issues by tackling their root cause. On the other hand, most coaches provide surface solutions and some form of emotional support, but their clients continue to deal with the same problems becauss the root issue is never addressed. Writing. I am an average writer, but at the very least my writing is passable and good enough for blog articles. I’m also constantly working on my writing skills. Analytical skills. For everything else, my ability to learn and analyze things quickly help me fill the gap. Since starting my blog, I have built new skills to further stand out from the competition: public speaking, podcasting, video editing, and networking skills. With a diverse mix of skills, I’m able to stay ahead despite constant market changes. You leverage on the skills that you have to create an edge. Marketing, networking, technical, design, etc. Even if you don’t have a skill, you can learn it to set yourself apart from others. You mix seemingly normal skills together and become extraordinary in your own right. Let’s say you are a software engineer. You are great in your field. You design and develop software with ease. However, you are stuck in a job that pays you almost the same amount every year. Technical. You already have this skill if you’re a software developer. Networking. You form positive relationships with people across the organization. You have high visibility among the management. You form relationships with recruiters, headhunters, and peers in different industries to expand your job options. You know how to use Linkedin to connect with industry peers and get potential job offers. Presentation. You can present yourself well, and your ideas eloquently. Marketing. You know how to market yourself and sell your strengths. Your resume is filled with achievements but not responsibilities. You know how to present your skills and job history in the best way. You don’t need to be the best in networking/presentation/marketing. Just knowing some networking, presentation, and marketing skills puts you at a sweet spot, ahead of others. Because everyone else (in your field) lacks these skills. One of my recent clients is a technical developer. In the past year, he learned different technical skills (that are emerging in the market now) to widen his skills set. Doing so increased his appeal as a job candidate. At the same time, we worked on his self-marketing skills — giving his resume an overhaul, focusing on achievements rather than responsibilities, learning to position his skills and capabilities. He also began networking — with recruiters, headhunters, industry peers — to get himself out there. In the end, he got a job offer that pays him 60% more than his previous job. If he didn’t upgrade himself, chances of such an attractive job switch are virtually zero. He would be locked in his current company, subjected to the offer presented by his company. In fact this was what happened in his previous jobs. But because of his skill sets, he can navigate the industry easily and get the best offer. He’s not the best marketer. He’s not the best networker. But having decent skills in these are enough to put him ahead. The goal of a talent stack is to stack different skills to create a sweet spot. A sweet point that dramatically raises your value in a competitive field. This applies whether you are a blogger, salaried employee, business owner, baker, software developer, coach, or something else. What industry are you in? Blogging? Health and fitness? IT? Coaching? Online business? YouTube? Others? In your industry, what skills do people compete on? Given that everyone has these skills in #2, what new skills can you learn to 10X your market value? For example, electronic music tends to be very loud music that is used for raves, nightclubs, and festivals. Kitarō is different. He uses electronic and other instruments to create instrumental, East Asian music that is soothing and pleasing to the ear. In the American music industry, his music is a refreshing change. He is not the best synthesizer player. He’s not the best flute player or drummer. But his ability to integrate western style of music with eastern elements makes him one of the most prominent musical acts of New-Age music, with more than 100 million copies of his 50 albums sold worldwide. Kitarō’s talent stack lies in his synthesizer skills, his general knowledge in music (self-taught), his familiarity with the Eastern culture (he was born into a family of Shinto-Buddhist farmers), and his connection with nature (he lives in the mountains to get inspiration for his music). Again, you don’t need to be the best in every skill. Simply learning a new skill opens up so many options. For some, learning and combining different skills may be the answer to discover your passion and talent — rather than something that you discover by sitting around and waiting for life to happen.